100% Free OS ? Yeah!, I mean GNU/Linux based operating systems (a.k.a distributions or distro) which is made of free softwares and of course it has no proprietary stuffs. In Free Software, the term free stands for Freedom not the price. 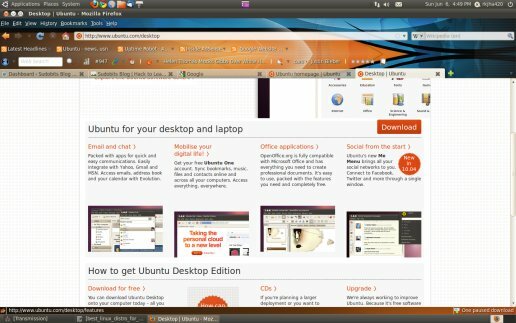 A number of GNU/Linux based distributions exists today but most of them have little or more proprietary programs but in this post you’re going to learn about some cool GNU/Linux distributions which is purely free software, recommended by the FSF (Free Software Foundation).These free software distributions are best for learners as well as common users who want to enjoy free computing. 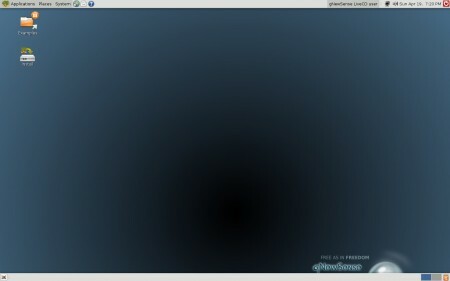 gNewSense is a fully free software – GNU/Linux distribution. By default it comes with Gnome desktop but other popular desktops that you can easily use with gNewSense are KDE and XFCE (Light weight Desktop environment, recommended for old computer). Some of the commonly used applications are – LibreOffice, Emacs, Evolution, Pidgin etc. It is a debian (package management) based distribution. A light weight and flexible GNU/Linux distribution, based on ArchLinux, but it is totally free software so called as ‘Libre version of ArchLinux‘ (The official website of Parabola also looks very similar to Archlinux’s website). The package manager of Parabola GNU/Linux is Pacman, one of the coolest package manager. If you dream to build your own GNU/Linux distro or want to understand GNU/Linux very deeply then it’s the right distro for you – but little knowledge of command line is expected. It is available for 32 bit as well as 64 bit platforms. Trisquel is a fully free GNU/Linux operating system for common users, educational centers (e.g schools) and small enterprises. The latest version is 5.0 (released a couple of months ago) with Gnome 2 as the default desktop (although trisquel mini editions are also available with LXDE desktop) and it is based on Linux-libre 2.6.38 (libre version of Linux kernel). Most popular applications are Abrowser (libre version of Mozilla Firefox) and Libre Office. Dynebolic is a simple and easy to use GNU/Linux Operating System and of course, it’s completely free! (no closed source stuffs inside). The whole OS can be used directly from a USB drive or DVD (size is around 1.6 GB) and so you can run a lot of application without even installing it on your hard drive. it is well suitable for older hardware as it can run smoothly even if a computer has only 256 MB RAM. The latest version 3.0 is available to download. Blag is a 100% free GNU/Linux OS. It is very similar to Fedora, one of the most popular GNU/Linux distribution among advanced users specially server administrators. it’s available for i86 as well as x86_64 platforms. More about Free GNU/Linux distributions – Full collection of Free GNU/Linux distributions at official website of GNU project. Ubuntu is an operating system based on Debian GNU/Linux distribution and it is distributed as Open Source and Free software although some extra proprietary software is also mixed.It is released under the free software license such as GNU GPL(General Public License) and GNU LGPL(Lesser General Public License) so the users are free to run,copy,distribute,learn,develop,change,improve the software.Ubuntu is sponsored by Canonical,a private company founded by Mark Shuttleworth in order to promote Free Software projects. Latest Releases(Stable) : Ubuntu 10.04 LTS(Code Named : Lucid Lynx) released on April 29,2010. Latest Releases(Unstable): Ubuntu 10.10 Alpha on First week of June 2010. 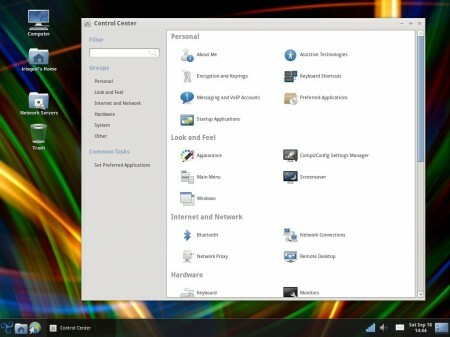 Upcoming Version :Ubuntu 10.10(Code Named : Maverick Meerkat) will be released on October 10,2010. * Ubuntu 10.04 includes mozilla Firefox version 3.6.3,for safe and fast browsing.Although you can also use other open source browsers like Google Chrome,Midori and others. *Personal and profesional Documents,presentations,PDF’s can be easily created by using powerful application -OpenOffice.org,an easy to use free and open source software with Nice user interface and a lot of features. *In Ubuntu 10.04 ,you can easily install any other supported free open source softwares in a single click by using Ubuntu Software Center OR Synaptic Package Manager.All the FOSS(Free and Open Source Software) are categorized well like Education,games,Graphics,Programming,System,Science and Engineering,Internet,Office,Sound & Video and so on…(with the appropriate subcategory);this helps in finding the software more quickly.Hence software management became very simple in ubuntu 10.04. *E-mail and Chatting can be done with Evolution Mail and Empathy IM(that is installed by default),although you can also install other popular mail client Mozilla Thunderbird and for chatting Skype is also good.For microblogging an excellent application – Gwibber is already installed. *Editing,viewing and managing photos is now very simple in ubuntu because an application F-spot is installed by default,which enable you to organize photos much effectively.First connect your cameras or phones to download the pictures then F-spot and other sharing tools like Picasa,Flickr will do the rest of your work. *Play,edit and make videos with Movie player and Pitivi Video software,which is installed by default.You can install other popular media player VLC player from ubuntu software center in single click. *Fast Booting Speed is surely,one of the greatest features of ubuntu 10.04.Ubuntu 10.04 takes very less time to load on any computer and very-very less time on newer computers.You can also further increase the speed of applications by allocating more memory or by changing preferences.For more details-Speed Up Ubuntu. *A lot of(More than hundreds) Free open source games are available for ubuntu 10.04.just Go to Ubuntu Software Center->game and install whatever you want;OR search in Synaptic package Manager.